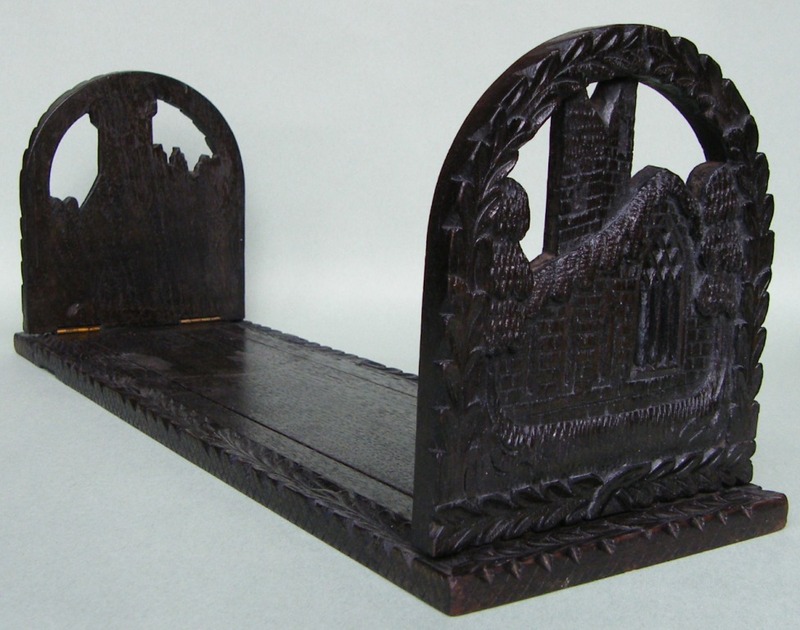 Rare Irish Hand Carved Bog Oak Book Slide of medium proportions, mid Nineteenth Century.The sliding base with a double row leaf frieze decoration around the border with a plain inner reserve. One hinged folding bog oak bookend is carved depicting a view of Muckross within a leaf frieze border. 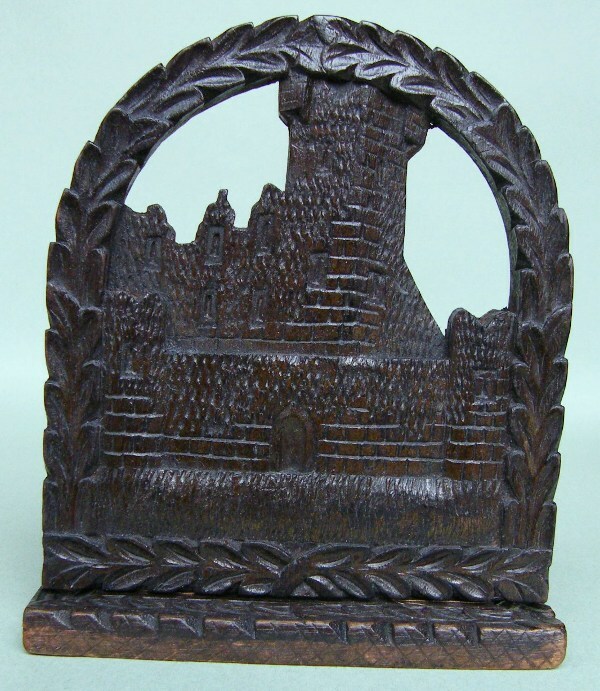 The other folding bookend is carved depicting a view of Ross Castle in Killarney Co. Kerry and has a similar border. Condition: Good untouched condition with no losses to carvings, nice surface patination.Height: 6.25" (16cm). Width: (closed) 17.25" (44cm). 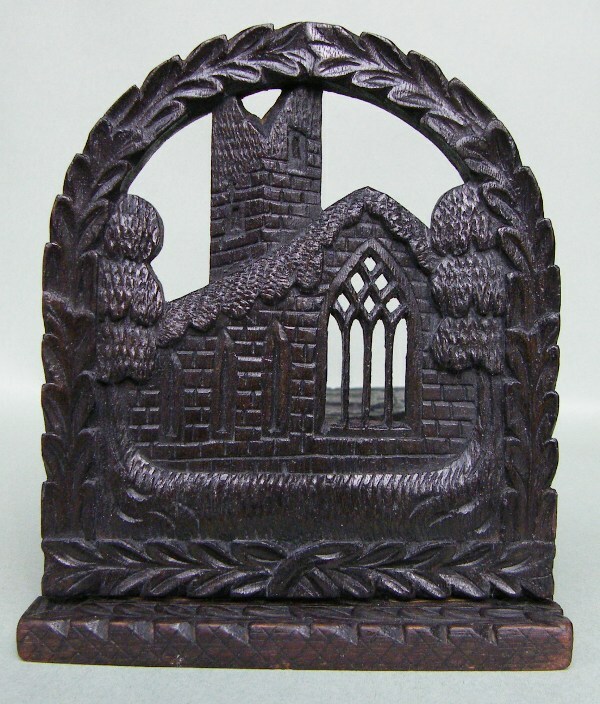 Depth: 5.5" (14cm).